As international e-Commerce thrives and e-Payment volume rises, so does cyber crime. Credit cards are still #1 CNP payment method worldwide and form an attractive target for fraudsters, involved in financial crime. Financial Institutions are forced to adapt their Due Diligence procedures, in order to be legally compliant and to mitigate risk. ‍Criminals have shifted their “modus operandus” and are increasingly using web shops to commit large-scale fraud. Card fraud, committed by malicious online merchants, has become a growing threat to Acquiring Banks and payment service providers (PSP) and has led to reputational damage, financial losses and fines from the card organizations. ‍The Authors of this Best Practice Guide are Industry Experts, with extensive experience in the online Payment Industry, resulting in a practical manual for professionals in Risk Management departments of e-Payments facilitators. The various chapters in this Guide, explain the different Fraud Scenarios and zoom in on recent Fraud cases. 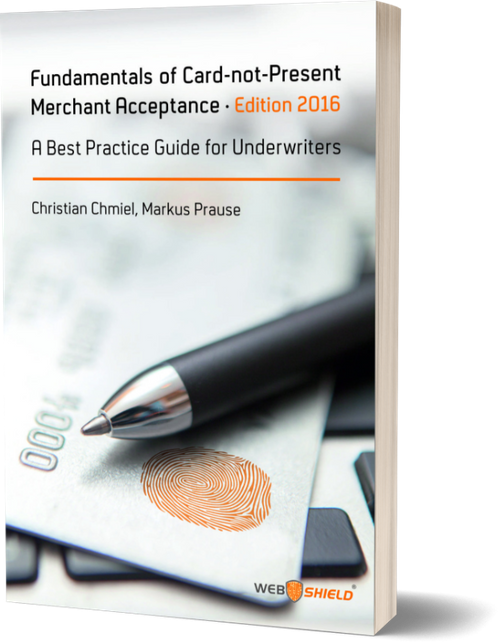 ‍The various analytical tools and investigative methodology available to detect, analyze and prevent fraud before merchant acceptance are highlighted. Fundamentals of Due Diligence processes and KYC screening procedures are outlined, including all crucial steps during the EDD on-boarding phase. Underwriters and Risk Managers in the Payment Acquiring business will find this book very useful, as it provides added value and expertise necessary to protect financial institution against financial loss, avoidable charge backs and reputational damage; expertise which is crucial for all stakeholders involved in profitable cross-border e-commerce.